Another five years in office: The supervisory board of Dr. Ing. h.c. F. Porsche AG has reappointed Deputy Chairman of the Executive Board and Member of the Executive Board, Finance and IT, Lutz Meschke, for another five years of service. Meschke has been a member of the Porsche Executive Board since 2009. He has been the Deputy Chairman of the Executive Board since 2015. Chairman of the Supervisory Board, Dr. Wolfgang Porsche, praised Meschke’s work towards securing sustainable profitability in particular. “For years, Porsche has been one of the most successful automotive companies in the world”, says Dr. Porsche. “Lutz Meschke has made a significant contribution towards achieving this.” The sportscar manufacturer has a strategic profit target of more than 15 per cent. 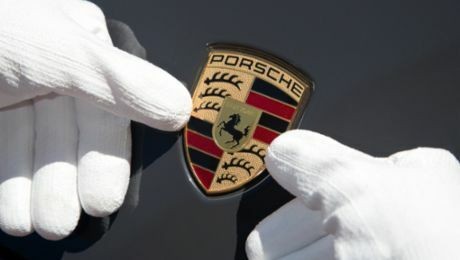 Stringent cost management and currency hedging focused on the long-term are important cornerstones of Porsche AG’s healthy cost structure. During his upcoming term of office, the Member of the Executive Board, Finance and IT, wants to use the digital transformation to establish the foundations required to make Porsche the leading provider of digital mobility solutions in the premium automotive segment. Dr Michael Steiner is taking over the research and development division. A portrait of the Deputy Chairman of the Executive Board and Member of the Executive Board Lutz Meschke.